REALIST NEWS – David Stockman Warns Trump "The Swamp Is Undrainable"
David Stockman joined Fox Business on Varney & Co. to discuss why he believes the current markets are setting up investors for a big drop. This post was published at Wall Street Examiner on June 17, 2017. David Stockman joined Bloomberg Markets to discuss President Donald Trump’s latest budget projections. After the White House and current Office of Management and Budget director Mick Mulvaney released various statements on the budget proposal viability conversations already began within the GOP and Congress. When prompted by host David Gura over his thoughts, even reflecting on former Treasury Secretary Summers comments that the budget is ludicrously optimistic, David Stockman did not mince words speaking on Washington. This is part I of a 3-part series introducing Plunger’s ‘Trade of the Year’. This section gives a review of the oil price from 1946 to present explaining the essential forces which powered its price through various bull and bear markets. It explains how we ended up where we are today in the oil market. Part II will explore the macro forces driving today’s economy which lays the groundwork for introducing my trade of the year in part III. To acquire a broader view of oils path over the past century I highly recommend the following resources on the oil market. Daniel Yergin’s ‘The Prize’ is an in-depth review of the history of oil up to the First Gulf war. It is indispensable in understanding the growth of the industry. Other books provide entertaining color to the industry by reviewing the swashbuckling nature of the early players who formed the industry as independents. I recommend ‘The Big Rich’ by Bryan Burrough and JP Getty’s autobiography ‘The Way I See It’. Finally, David Stockman’s ‘The Great Deformation’ is essential reading as it corrects all the false economic narratives of the past which have been masquerading as truth. 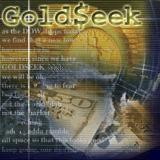 This post was published at GoldSeek on 17 April 2017. In his upcoming book, Trumped! A Nation on the Brink of Ruin…And How to Bring it Back, Stockman lays out how we have devolved from a free market economy into a managed one that operates for the benefit of a privileged few. And when trouble arises, these few are bailed out at the expense of the public good. Stockman brings us his report of what 30 years of politics, degenerative crony capitalism and ‘bubble finance’ have finally wrought. The upheaval and crossroads represented by Donald Trump’s candidacy spell economic disaster or resurgence, depending on the steps America chooses to take from here. 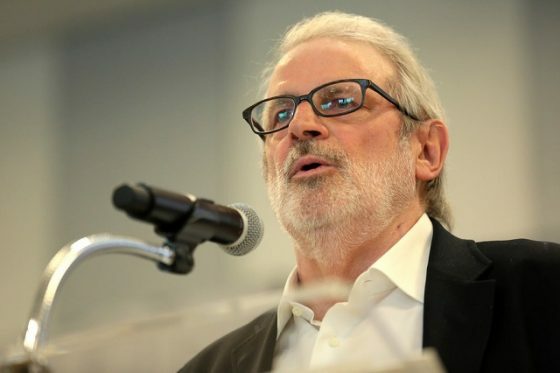 Former Reagan Budget Director David Stockman joins today’s Liberty Report to talk about his upcoming book, ‘Trumped: A Nation on the Brink of Ruin… And How to Bring it Back.’ What are Stockman’s suggestions on foreign and monetary policy and would they help? This post was published at David Stockmans Contra Corner by David Stockman ‘ September 23, 2016. It’s hard to imagine a better endorsement of Donald Trump’s economic policies – whatever they may be, whenever he finds the time to explain them – than the recent endorsement of Hillary Clinton by former Goldman Sachs CEO and U. S. Treasury Secretary Hank Paulson. As the man in charge of the biggest explosion of corporate welfare in world history – the ‘TARP’ bailouts, he defined himself as a sworn enemy of capitalism and a socialist when it comes to the capital markets. Socializing billions of dollars in investment bank, insurance company, and automobile industry losses with taxpayer dollars qualifies Paulson as deserving of the S-word label. As such, Hillary Clinton may well have found a new political and financial soulmate. Paulson began his career and cut his political teeth with some of the sleaziest and most disastrous political hacks in American history – first as a Pentagon assistant to the secretary of defense from 1970-1972, then as a Nixon administration assistant to John Ehrlichman, the convicted Watergate felon. Such sterling credentials earned him a position at Goldman Sachs, where he presumably mastered the political dirty trick skills that he must have learned from Ehrlichman and the rest to eventually claw his way up to the CEO position. Paulson and Hillary Clinton might as well be cloned twins when it comes to using their positions of political power to line the pockets of the wealthiest people in America in return for kickbacks and political support. As the chief corporate welfare czar during the Bush administration, a first order of business was the $180 billion bailout of the insurance company AIG, ninety percent of which was totally solvent, as documented by David Stockman in his book, The Great Deformation(p. 6). Rather than allowing a healthy free-market purge of AIG’s bad assets, Paulson showered the company with taxpayer dollars in a totally unnecessary bailout. This post was published at Lew Rockwell on June 27, 2016. This post was published at David Stockmans Contra Corner by David Stockman – May 21, 2016. My readings over the last several weeks have consisted primarily of David Stockman and Jim Grant – two sane voices in the insane financial world. Each have contributed wondrous thoughts and reflections on the nature of 21st century finance, which is primarily a story of the ‘corruption of capitalism’ (to use Stockman’s phrase) and the rise of bubble finance. This tragedy of course, is a result of the slow and pernicious takedown of free markets, especially in the area most people refuse to look: money and banking. The middle class in America forgot all about the importance of savings and frugality and instead bought into the lie that one’s future would be ‘taken care of’ if only it threw its money into the stock market. An important mechanism for the allocation of scarce resources into productive investments, the stock market is a vital piece of a free market capitalist economy. But when the United States government decided that money, credit, and interest rates would be controlled and managed solely by the whims of the central planners, no longer having anything to do with the multi-century long underlying commodity of gold, the stock market quickly became a betting center – a gambling house. This post was published at David Stockmans Contra Corner on April 15, 2016.